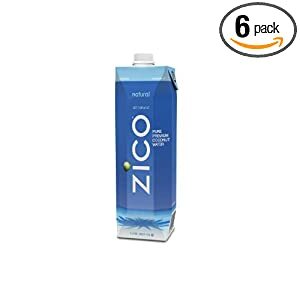 ZICO Natural 1 Liter is all-natural Pure Premium Coconut Water from young, green Thai coconuts, which are the fresh coconuts most commonly found in grocery stores. The Natural Liters with resealable cap work great as an on-the-go solution or at home in recipes. Captured 100% pure in Thailand, ZICO is simply the best tasting and most nutritious coconut water this side of the tropics.